Finding free books for kids online is easier today that it’s ever been, thanks to inventions like the Kindle and Nook. The hard part? Finding GOOD free online books that our middle graders actually want to read! 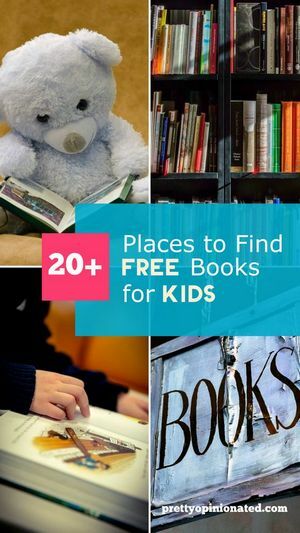 I’ve done the work for you and came up with a list of places that offer really great free books for kids of all ages, including our middle schoolers. Check it out! Some of these free book sites are obvious (to me, anyway). Even if you have already thought of them, I’m still including them for those who may not be aware that they have freebies. Others aren’t so obvious! Another thing: this list may not be as long as others out there, but that’s because I weeded out the junk as much as possible. I’ve seen sites with lists like “50 places to get free online books for kids,” and 47 of those places have the exact same public domain books. I’d rather give you a short list with GOOD free books than pad it with a bunch of junk just to make it look good. These resources offer a robust library of free books for all ages, including tweens and teens. Let’s start with the most obvious source of all: Amazon. As you may know, Amazon has a veritable cornucopia of free books for all ages. Some of these books are “permafree,” which means they’ll always cost you nothing. Others have special free days, so you need to really keep an eye out. Finding the free list isn’t quite as easy as it used to be. They’ve kind of buried the lead a bit with their latest design, but you can find the free kids books by clicking here. If you’re a Prime member, you can also find some free books in the Kindle Unlimited program. Keep in mind that Prime members only have access to a tiny percent of the KU library. If you’re willing to pay for the membership, you can find a TON of “free” books, of course, but they’re not technically free since you’re paying for a membership, right? Same goes for Amazon Free Time (although the fee is a lot lower than KU AND they have some big-name books). Barnes & Noble has a pretty decent selection of free teen and YA books for their Nook and they make them super easy to find. You can narrow down the list to show just middle grade appropriate books by selecting 9-12 on the side menu. The 7″ Nook Tablet retails for just under $50 and comes with the Google Play store. If you already have a tablet or iPad, you can also just download the Nook Mobile App and use that to read your free books. You’ll need a library card to access OverDrive, but that’s free just about everywhere. Once you sign up, you’ll be able to borrow ebooks for all ages. While they have a good selection, keep in mind that each library has a limited number of copies available for each title. So basically, if your library has two copies, and ten people want to read it, you’ll have to put yourself on the wait list. OverDrive gives you a few options on how to read the books once you check them out, including a Kindle option. You can only keep the book for 2-3 weeks, then it automatically returns itself. I love this because I am notorious for forgetting to return library books on time! FYI for Pennsylvania people, anyone in the state can get a Free Library of Philadelphia card. I have both that and a local library card, which opens up more options in OverDrive for me. For those in other states, check into the larger city libraries and see if they offer the same service. FreeKidsBooks.org offers books for ages ranging from toddlers to teens. The selection isn’t huge by a long shot, but they make it crazy easy to grab your free book. Once you find something you love, just one click gets you to the story. Kids can either read the books online or download the PDF. Simon Teen publishers offer a small selection of their books for free on Riveted. Make sure you look closely at each book, as some are just extended previews. You want to look for “full book,” and take careful note of the “available until” date. While Instafreebie is mostly for adult reads, you can find some appropriate teen reads mixed throughout. 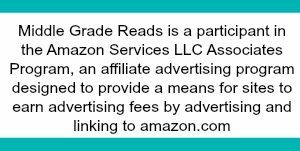 Indie authors often offer free books in exchange for subscribing to a newsletter or following them on social media. Once you find one you like, follow the claim process instructions. You’ll get a verification email, then you can choose the device you’d like to read on. I suggest getting the App. If you connect it to your account, books appear automatically. It’s a lot easier than keeping track of emails! There are probably a zillion sites out there that offer free public domain works for all ages. While many of them are legit, just as many are filled with malware, redirects, and other junk. Read.gov is a government-run site, so you’re less likely to encounter any major issues. The books they offer are all classic works, but you can find some great tween and YA novels, like Anne of Green Gables, Alice in Wonderland, and The Jungle Book. Okay, so Archive.org definitely has a robust library, but it’s kind of a pain to navigate. With more than 15,000,000 free books and texts, including 550,000-ish modern works that you can borrow with a free account, you can pretty much always find something free to read. Use the filters to narrow down the selections (but be prepared to still spend a little time trying to find something your kids will actually want to read). While, like Read.gov, LoyalBooks only offer classics and public domain books, their site is a little more kid-friendly. They also offer more of a selection than Read.gov. Another reason that I’m including them: they offer free audiobook versions of the classics. For kids who don’t really like to read, audiobooks can be a great way to introduce them to the classics! WattPad isn’t your typical place to get free books online. It’s more of a community of authors sharing their works with each other. Readers can vote for books (which helps them move further up the page, I presume), comment on each other’s works, and even save them to read offline (with an account). While you won’t find many big names here, your tweens and teens might just discover the next big thing hidden among the thousands of stories. If you have younger teens, you may want to preview books before saving them to their library. SmashWords was THE place to get free books when I first started book-blogging back in 2011. They aren’t quite as popular as they used to be, but I still love using them to explore freebies in my favorite genres. You’ll need to sign up for a free account. When you find a book you like, just add it to your library. You can then download it as an epub, mobi (Kindle), or pdf file, or read it right there online. Epic! is only free for educators, and I’m not sure what their stance is on homeschooling parents. You have to enter your school’s name to get the free account. If you do homeschool, I suggest contacting them to see if you can get a free account. For the rest of us, Epic! costs $7.99 a month (you can get a free month to try it out), but you get access to a library of 25,000 fantastic books, quizzes, and more. I’m talking the books kids actually want to read, like Big Nate. While Epic! is designed for grades K-5, you’ll find a selection of books for kids up to age 12. Ever since Amazon started penalizing affiliates for sending too much traffic to free books (versus paid products), it’s gotten harder and harder to find sites dedicated entirely to free ebooks. Many sites when under entirely, while places like BookBub started sharing cheap reads vs free reads. EReader IQ seems to be the exception, one of the few sites that still updates regularly with completely free books. The majority of the books are written by indie authors, but don’t let that keep you from checking them out! Some of my favorite authors are self-published. Like I said, this is a significantly shorter list than most of the results that you’ll find on the first page of your favorite search engine. There’s a reason for that. Most of those lists are either outdated or repetitive, and I didn’t want to regurgitate the same info. These are all sites that I’ve used in the past and can feel good about recommending. 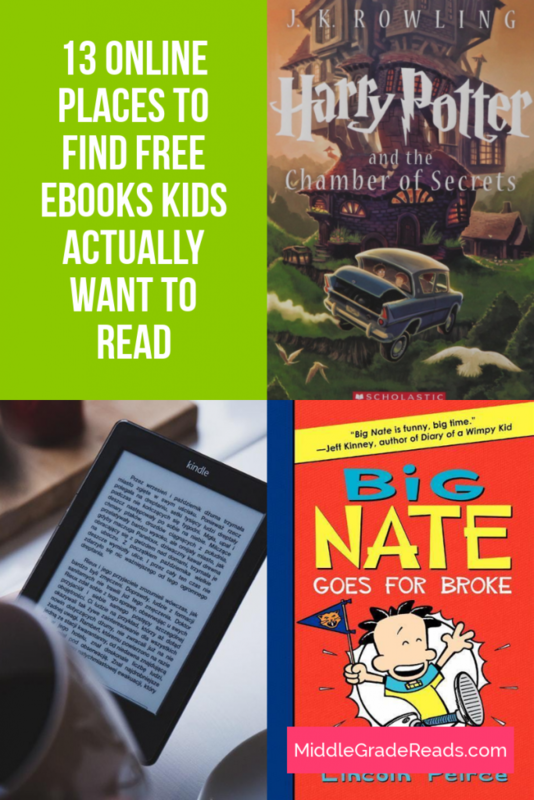 Do you have any other favorite resources for finding free online books for kids? Share below!